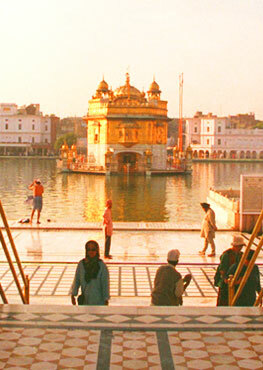 It is widely believed that Baba Nanak along with Bhayee Mardhana visited and spent some time at Martanda/ Mattan where unfortunately the Sikh baradhari is struggling to construct a Gurduwara due to some stubborn opposition from the other religious Kashmiri "minority" and the matter is lingering in Courts at Anantnag for decades now. This man then said, "You don't look like you are from Scotland. You look like an Arab, and do you know what I do with Arabs? I shoot Arabs." And to those on the Gurdwara committees, how about inviting the local police department to a diwan? I've already seen some Gurdwaras doing this and it is having a positive effect on the Sikh community. Better yet, it would be really awesome if we could invite TSA agents to come, sit down, and have langar with us.